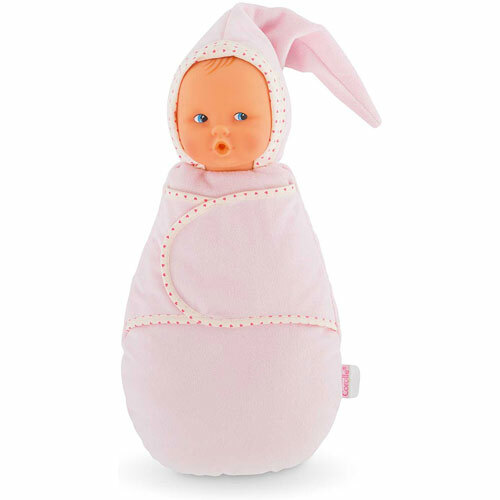 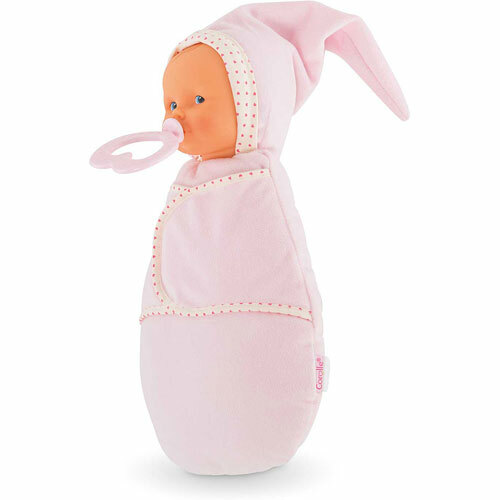 Corolle's Mon Doudou Corolle Babiswaddle Pink Cotton Flower is soft and cuddly. 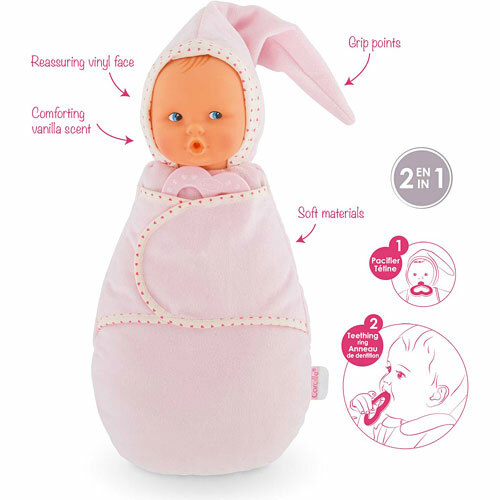 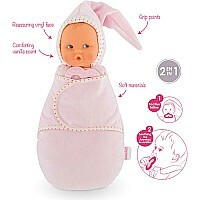 It has a pretty, realistic face to reassure baby, and swaddled and ready for bed. It's also perfectly sized (12 inches tall) for tiny hands to hug and to hold. Babiswaddle Pink Cotton Flower even comes with its own pacifier that doubles as a teething ring for Baby. From birth.